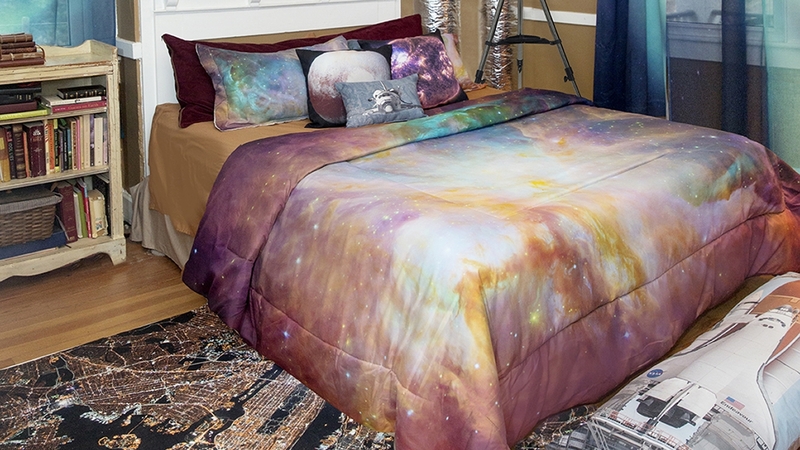 Take your bedroom to the next level with our custom printed comforters. All comforters feature a microfiber printed face with a solid bright white back. Our 0.75” thick batting is held in place by a simple and unobtrusive double square quilting pattern that allows your artwork the space to make a big impact. Printed face, bright white back, double square quilting pattern, 5.4 oz 0.75” thick batting, 100% polyester low melt sheath-core binder.